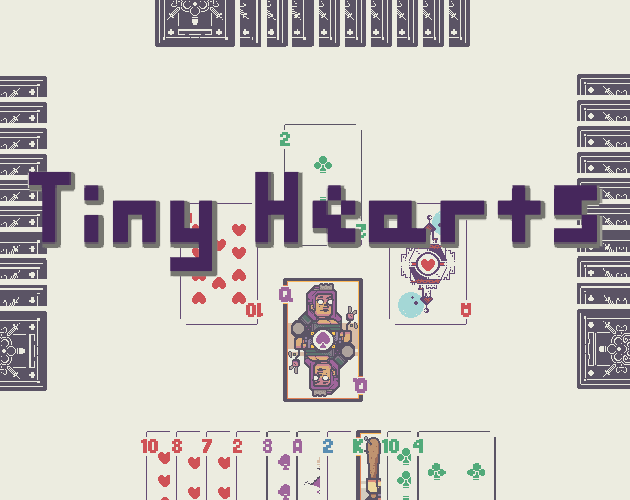 Hearts, like the card game. I tried to play hearts the other day on my computer, and windows games was a whole mess. Not simple at all! 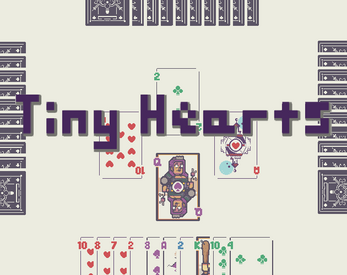 So instead of just going to one of the many wonderful, simple hearts games out there, I made my own. It's like playing hearts, except alone and on a computer. First to 50 points after a hand loses, and whoever has the lowest score when that happens is the winner. The points on the left are the current points for that hand, the score on the right is your banked points after each hand. Mute/Unmute sounds with the "m" key. Double-tap 'escape' to quit to menu. Card sounds recorded by myself. Contact me if you'd like to use them. Sometimes you can play before the 2 of clubs is auto-played, and then things break. Spam-clicking cards can break things. Implementing more complex AI, like a monte-carlo method or whatever.